Case for Apple Watch Are you worried that your Apple watch fall off or crash in the sport? Are you worried about choosing wrong size case for your Apple Watch? for your watch. 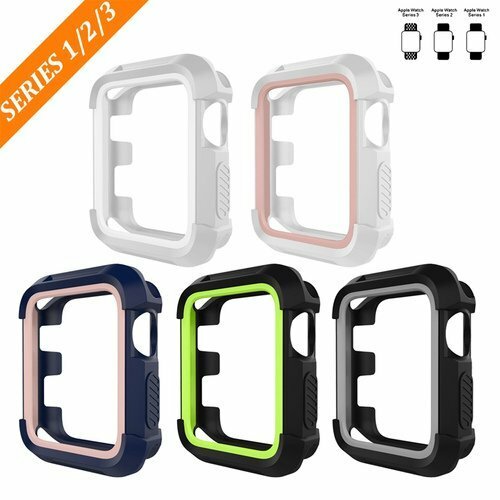 This Apple Watch Case is your perfect choice because it is designed for all Apple Watch 42mm Series 1, Series 2 and Series 3. And this Apple Watch Case can wrap your apple watch tightly. It don`t let your watch fall off. -- The Whit/pink and Gray/White are easy to be visible dirty because of light color. Please wash it after use for some days. Warranty: For 18 months after the date of purchase, we take care of all quality-related issues with a REPLACEMENT or REFUND. Please free contact our BEPARTNER support team at 7/24.